Copyright © 2005 - "Orbital" Joe Kienle - Some Rights Reserved - This image is copyrighted. Unauthorized reproduction prohibited. Note: Citrine is not listed in our database for this locality. This specimen may be misidentified or the mindat list of rocks and minerals at this locality may be incomplete. 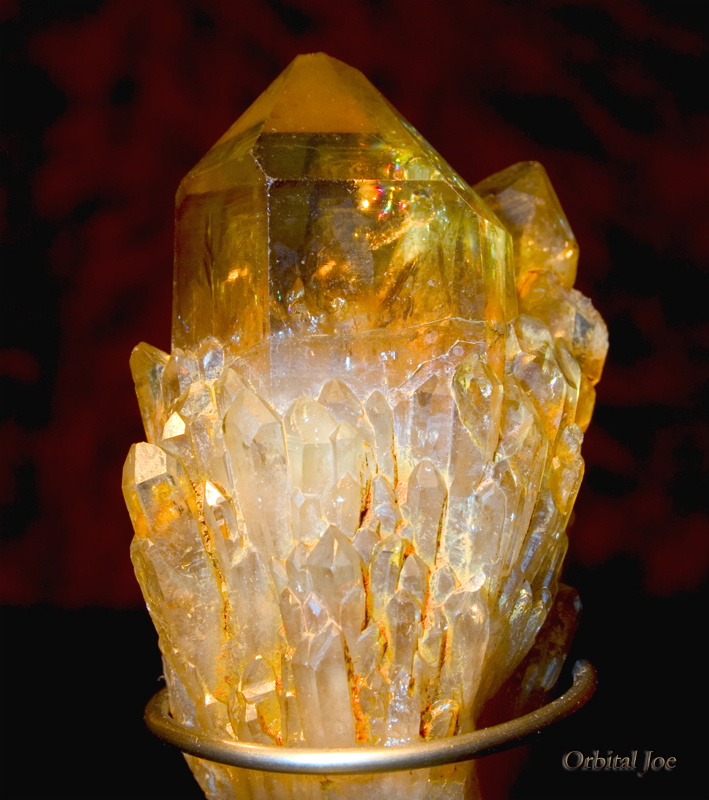 Citrine "Lightbrary" - Citrine is the yellow and orange variety of Quartz. This one measures 1 1/4" x 3" and is in need of an acid bath.